Each year Alton Lions provide marshals for the Alton Ten and Downland Challenge races, organised jointly by Alton Runners and Alton Lions. Alton Runners make a donation to Alton Lions from the entry fees collected. This year they have donated a very generous £3,500. 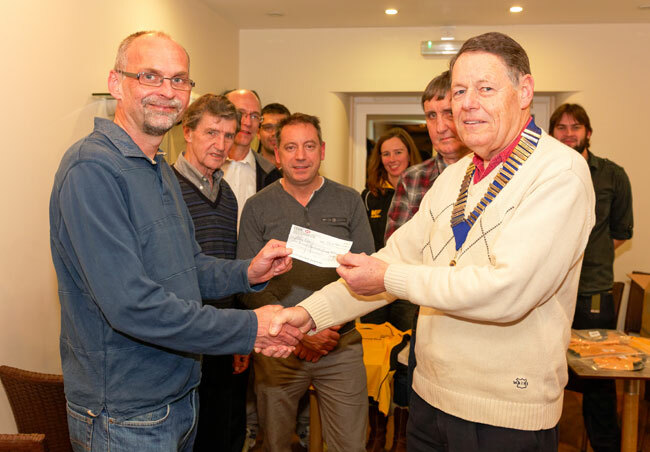 The picture shows Alton Lions President Graham Dix (right) receiving the cheque from Alton Runners Chairman Philip Scrase.